Coney Island, Brooklyn NY is synonymous with Amusement park (aka Luna Park), The New York Aquarium, MCU Park (a minor league baseball stadium), the original Nathan's restaurant, landmarked Boardwalk and a magnificien public beach. 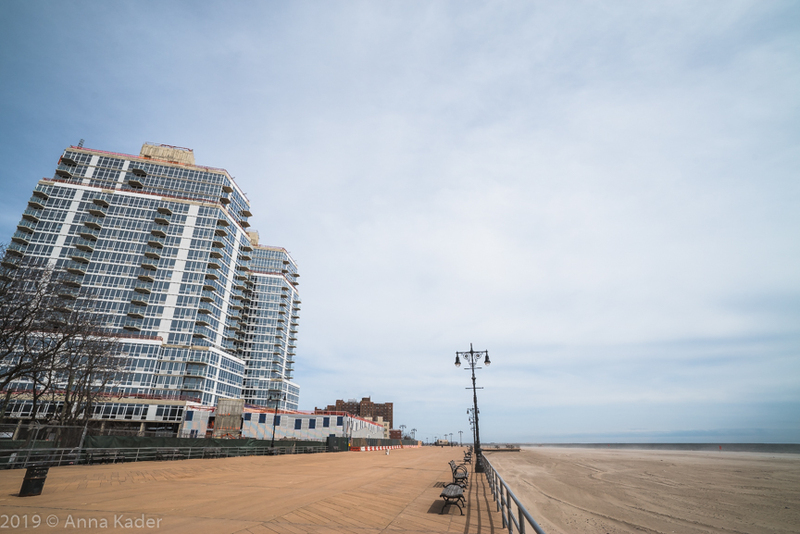 Coney Island neighborhood slowly but surely is evolving and some great new projects are underway and several are planned for the near future. Ocean Dreams, a 425 unit rental project located at 3514 Surf Avenue is being developed by John Catsimatides. The project has a pair of 21 story luxury apartment towers overlooking the Atlantic Ocean. The project is scheduled to be complete by next summer. Catsimatides is also planning to build on either side of Ocean Dreams on land which he also owns. Hill West Architects have designed the towers. The project will have 327,778 square feet of residential space and 20,685 square feet of commercial space. Amenities will include Valet Service, a business center, a pool, a 3 level parking garage for 301 cars, 2 rooftop terraces, 2 tenant lounges, a fitness center and a children’s playroom. There will also be a 24,000 square foot common 2nd floor terrace which will have a bocce court and a putting green. A supermarket, drug store and a restaurant will also open nearby. Taconic Investment Partners and The Prusik Group are planning a mixed use project called Coney Island North Venture. This massive project will consist of 1,000 apartments, 80,000 square feet of office space and 150,000 square feet of retail along Surf Avenue. The project will span 3 blocks and construction is expected to wrap up by 2020. Taconic has also purchased another parcel which the developer refers to as Coney Island South Venture. That site is 5.5 acres and 4 blocks in size along the beachfront. No plans have been set for that site yet. Developer PYE Properties has a boutique hotel planned for the historic Shore Theatre, a 1920’s landmark building located at the corner of Surf and Stillwell Avenues. Plans for the hotel include approximately 50 rooms, banquet space, a Multi Cultural spa, a rooftop restaurant and lounge and a ground floor café and retail space. The new hotel is expected to open in 2021.